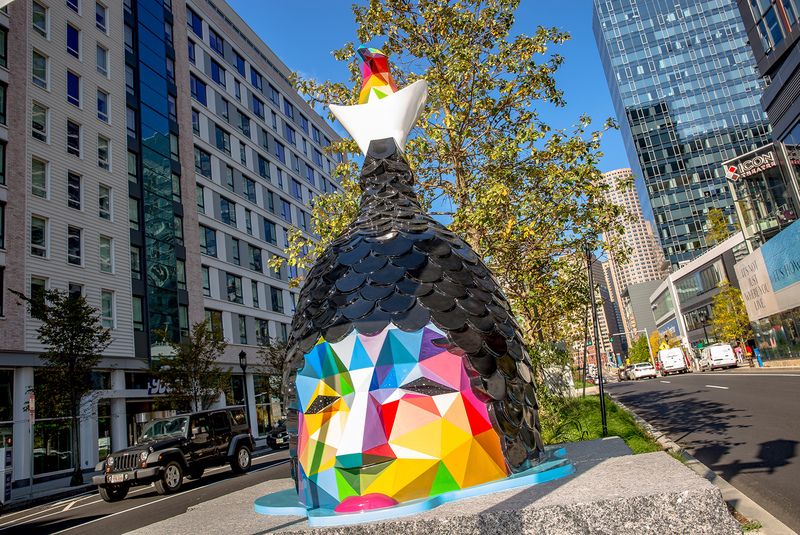 Okuda invented a mythological human-fish-bird hybrid to fuse humans to the animal world. A bird rests atop a human head with fish scales floating in a puddle of water. The sculpture suggests that both mankind and the animal kingdom can influence each other and adopt each other’s characteristics. We are reminded of the delicate ecosystem we belong to and subsequently impact.